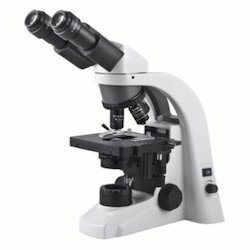 New standards of sharpness, clarity and flatness with excellent Pricing The Olympus CX2 series microscopes from Olympus Corporation, Japan, which have gained an outstanding worldwide reputation in many medical and educational arenas, now evolve with new UIS2 infinity optics. The CX31 microscopes improve advanced all-round performance and offer excellent cost-efficiency. 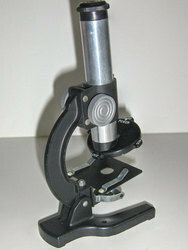 We are instrumental in offering a comprehensive plethora of result oriented Microscopes. Furthermore, the complete rage of our microscopes is widely recommended by our clients for its durability, easy maintenance and reliability. These microscopes are developed using modern sophisticated technologies and tools that are in adherence with the latest market trends. Fluorescent lighting based on slide switching of dichroic mirror cubes.